interchangeable cutters. Width of roller 150 mm. Button to set thickness. Chrome-plated steel body. 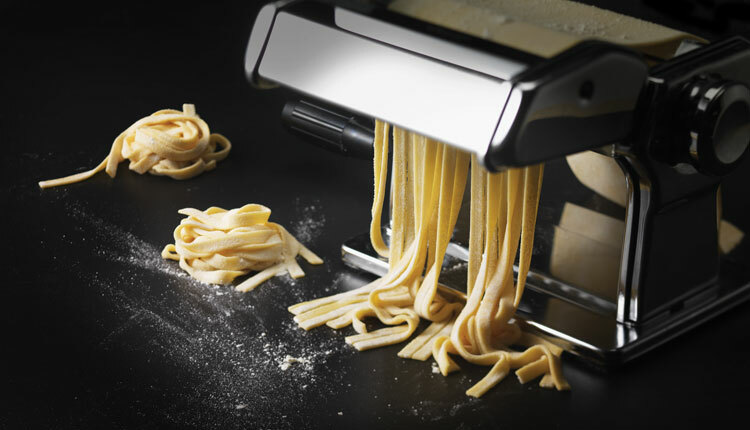 Supplied with 1 block, 2 cutters: 6 mm tagliatelle and 1.5 mm fettuccine; removable handle and table clamp. 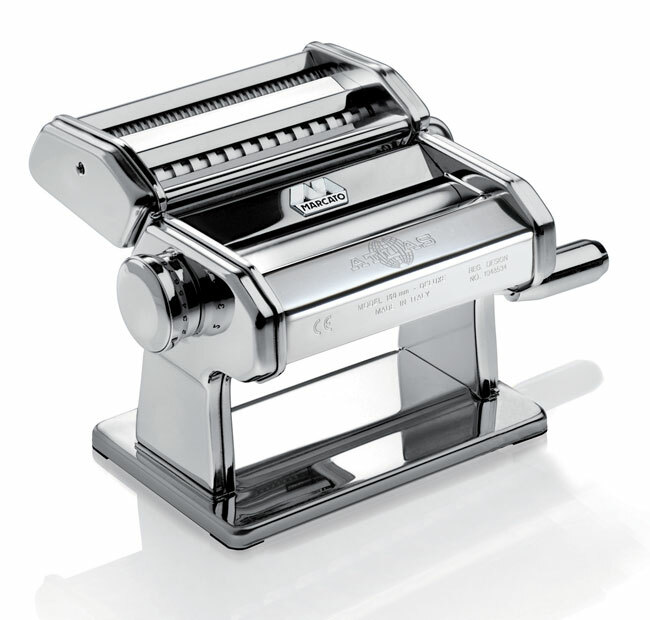 Alloy rollers to guarantee pure and healthy homemade pasta.